With Android Marshmallow set to be launched later this year, a tipster has come out with a list of Samsung devices that will reportedly get the latest Android OS first. According to an 'insider' speaking to YouMobile, Samsung is set to begin rolling out Android Marshmallow starting early 2016 after it finishes the current roll out of the Android Lollipop 5.1.1 update. 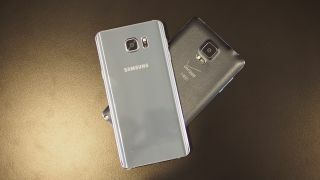 The list includes the recently announced Samsung Galaxy Note 5 and Galaxy S6 Edge+, as well as the Galaxy S6, Galaxy S6 Duos, Galaxy S6 Edge. Last year's Galaxy Note 4, Galaxy Note 4 Duos, Galaxy Note Edge and Galaxy Alpha are also tipped to get Android Marshmallow, as is the Galaxy Tab A. And Samsung has shown it is committed to bringing the Android Marshmallow update to its handsets once its released, having posted an info-graphic about the new OS on its blog. But of course, we can't confirm this list or the 'insider' as yet, but seeing as it includes the latest handsets (and tablet) from within the last 12 or so months, it looks like a logical bet to us. Needless to say, we'll be updating as we hear more.